"Pick up a shovel and help me"
ESPN UNDEFEATED, JULY 17, 2018 Photo courtesy Mary F. Calvert. Highlights of the 2011 Celebration of the Arts Week's art workshops at schools, hospitals, shelters and a local hospital hosted by Aaron Maybin. Video Produced by Da Vision Pictures. 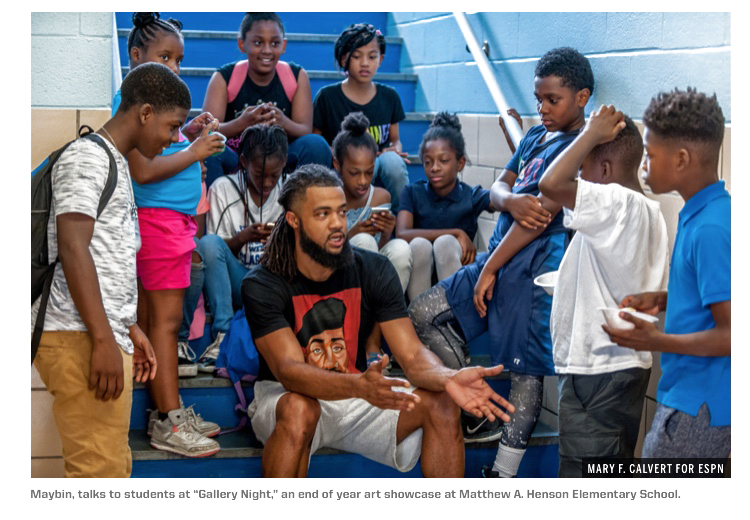 Transitioning from a career in the National Football League (NFL) to a full time artist, Aaron Maybin made shifts not only in his lifestyle, but in his community. ​I can remember being a teenager listening to people talk about the decline of, “real hip-hop,” and about, “ Hip-Hop being dead,” thinking that they were corny as hell. I had no space in my head for that kind of talk. MD State Senate Candidate Angela Angel holds a conversation with Baltimore community leaders during the Baltimore School Heat Crisis which spawned Operation Heat. Baltimore art & literacy teacher Aaron Maybin, formerly of the NFL, discusses how he used his social media to voice his dismay in 40 degree temperatures and students without coats. Aaron Maybin is barely 30 years old and yet he has lived a number of experiences that make both his work and his thinking far beyond his years. Maybin, a former NFL first round draft pick, artist, writer, father, and teacher offers critiques and analysis on the church, politics, education policy, and criminal justice reform just to name a few, through a lens of a young man coming of age at a period in America’s history as pivotal as the Civil Rights era of the 1960’s. A native of Baltimore, Aaron was front and center when his hometown erupted into chaos following the death of a young man in police custody. We speak to him about his own personal journey as well as issues of race, class, and education facing Baltimore. 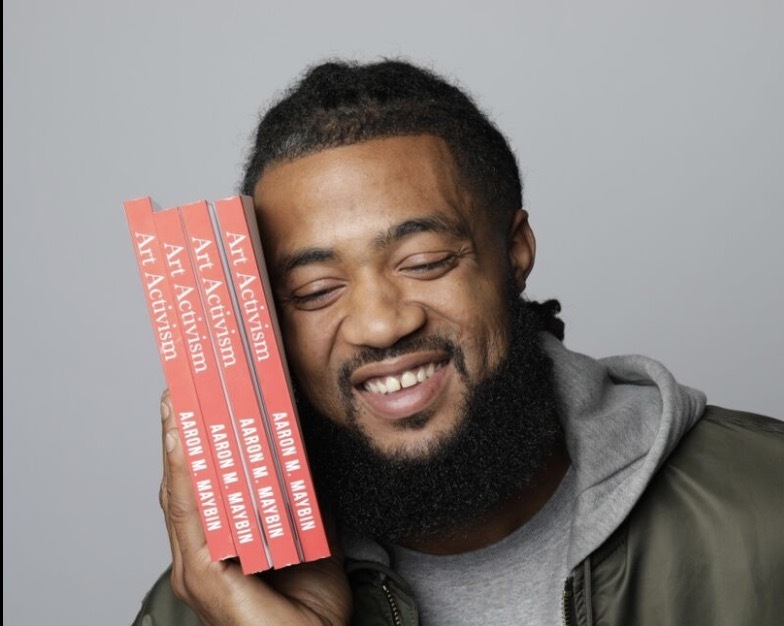 Former NFL linebacker Aaron Maybin, who works as a teacher at Baltimore’s Matthew A. Henson Elementary School, is helping to raise money .